Just a few days ago on Friday, January 13th, the Operations Committee of the MTC met to talk about their usual business, and specifically, spending money on Clipper. Other than the agency spending money on preparing for VTA's full transition into Clipper, I'm going to stick to the big topic at hand, "Phase III" of Clipper. 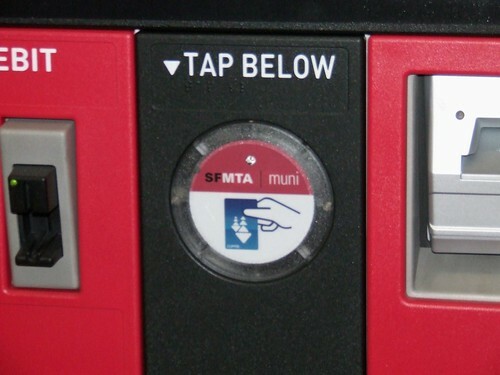 As you may recall, Phase II of Clipper was to have all major transit agencies in the Bay Area join the Clipper consortium and it has been successfully done with card readers on every bus, train, and train/metro station in the Bay Area. Phase III of Clipper is to expand the program into the smaller transit agencies. To make the expansion more efficient and cost effective, they have been broken-up into regions of where the transit services is provided. The regions are: East Bay, Napa-Solano, 101 Corridor, and Ferries. The Ferries group is supposed to be the first, but there hasn't been any news of any new developments. One reason why the ferries will go first is because it requires fewer Clipper equipment (readers, add value machines) versus a single transit [bus] agency that requires extensive amounts of equipment and labor to be installed on every single bus. Who Gets Clipper First for the Buses? The MTC is also considering to install Clipper equipment to Union City Transit and Marin Transit. The MTC has hit a big bump in the amount of Clipper equipment left in their inventory; ERG, the manufacturer of the Clipper card equipment, does not make any more of the equipment that is currently used on the buses of the major transit agencies. Either the MTC gets lucky to procure whatever is left from ERG in Australia or will need to look for new equipment. The lack of equipment forced the MTC to choose the region that would best fit the remaining equipment in storage, therefore Napa-Solano is the proper choice. Depending on what is leftover, Union City and Marin Transit may also be added for installation; these two agencies are being treated differently because Union City Transit is an extension of AC Transit, and Marin Transit is an extension of Golden Gate Transit. What About the Other Transit Agencies? Since there's a lack of equipment in MTC's inventory to cover every single bus for the remaining agencies, they'll need to look elsewhere. Cubic, the contractor for Clipper, will need to seek new equipment. As the report states, the newest generation of RFID transit fare equipment now includes real-time cellular communications, which means, rapid communications between the equipment and the Clipper network, and without the 5 day waiting period common with online and phone orders with the current technology operating on the major agencies. The new equipment they are looking at is what's going to be used in Vancouver and Chicago this year when they roll-out their new farecard programs. MTC and Clipper plans to start piloting the new equipment this now until March at no cost to the MTC to see if it will work well with the current Clipper technology in use now. If the MTC likes the new equipment, they'll likely make a proposal at the March or April Operations Committee meeting and provide the plans for the 101 Corridor and East Bay groups.